The 57th Vancouver International Boat Show returns to BC Place from February 6th to 10th, featuring hundreds of exhibitors and products, as well as educational seminars and workshops. 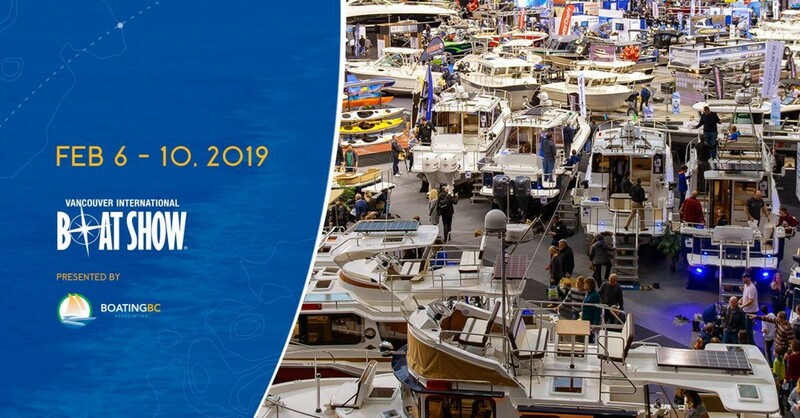 Presented by Boating BC, Western Canada's largest boat show is an opportunity for professionals to share their knowledge, insight and assistance to every kind of boater and marine business, from a first-timer to a seasoned tour operator. The recreational boating industry in British Columbia has grown by nearly 30 percent in the past five years. A National Marine Manufacturers Association (NMMA) Canada study found that recreational boating injected $1.3 billion into the province's economy in 2016 on revenues of $2.2 billion. The industry also employed almost 17,000 British Columbians, including boat dealers and service stores, marinas, and boat manufacturers. The 2018 Vancouver International Boat Show welcomed nearly 30,000 attendees and saw record-breaking sales. To learn more about this year's show or get tickets, visit https://bit.ly/2CUhBUT.